The weekend is coming and it’s predicted to be HOT HOT HOT! I checked the weather last night and it’s supposed to be in the high 80s and mid-90s! If you live in the Midwest you know that this could also be partnered with Humidity! These all mixed together with cocktails, busy days and suits! Men you guys sometimes have to wear a three-piece suit that adds layers that you would rather NOT want to be wearing when it’s 90 degrees with 90% humidity! Also, some wedding dresses are so heavy they could cause you to heat up even more! Those layers hold in so much heat! So I am sharing my TOP 5 WAYS to SURVIVE the WEDDING DAY! 1 | Men – this one I can not stress enough! WEAR A T-SHIRT UNDER THAT DRESS SHIRT! And bring a few pairs of shirts to wear underneath that dress shirt and suit! This will allow you to change it out when it gets soaked with sweat – and trust me this happens! You will feel cleaner, less smelly and more comfortable! 2 | Make sure there are coolers filled with bottled water for the wedding party, family, and guests! If you don’t have coolers have some cute water jugs filled with water, lemonade and ice tea! Along with this have some bites to eat before the ceremony, after and snacks hidden away! These will save you when you need a sugar rush! Also keeping you from fainting during the ceremony! I feel horrible when I hear stories of people falling over due to heat exhaustion – this could have been prevented! You will need to drink WAY more water than you’d think – due to the mimosas, quick sips from the flask and celebratory beers! 3 | Bring spray deodorant! This is a must for anyone at the wedding – it is a great way to get a small spray of coolness on a hot day. Along with refreshing your pits and body when you’ve been sweating all day! Girls, if you are wearing a dress and don’t want your legs to stick – spray some deodorant between your thighs and this will help prevent chafing! 4 | PHOTOGRAPHERS – invest in a rad double-walled water bottle to bring on the wedding day! My favorites are the Hydro Flasks and the Swell Water Bottles! These are perfect to keep your water ice cold! A perfect way to refresh and cool down your body! If you cannot get one of these for this weekend – put your Nalgene or other water bottles in the freezer half full overnight. Then fill it with water – it will stay cool for hours! Keep these in a cooler with ice packs to help keep them cool too – this cooler should also have some snacks in them! Eating cooled down snacks on a hot day taste better than a melted granola bar – right!? 5 | Sunscreen & Fans! 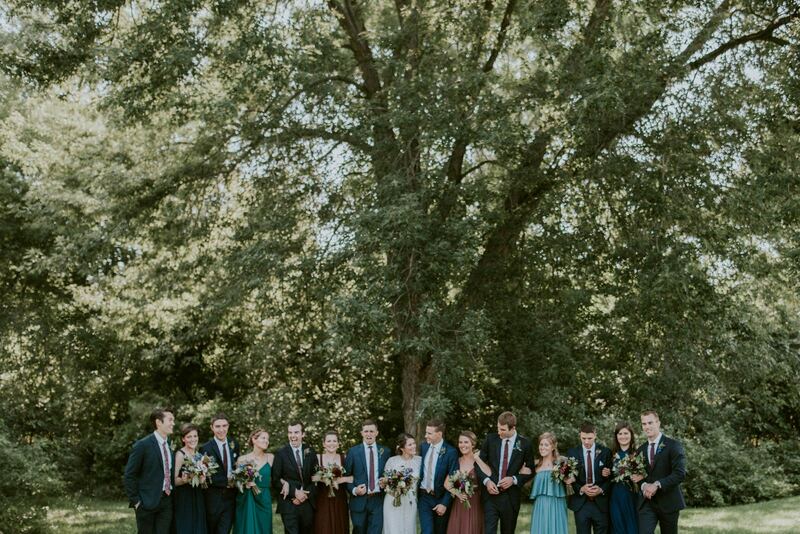 We’ve had a ton of weddings that are all outdoors – full sun ceremony and cooler air outside the barn! Guests often forget to bring sunscreen or think the once application is enough for the day. Having it on hand or your guests is a great way to help make their day better. No one likes being sunburnt – and some burn easier than others. Also, if you are having a barn wedding – sometimes those barns don’t get enough air going through the – purchasing or renting fans for the day will make everyone a little happier! If this is not an option with energy – having little paper fans to hand out with the program is a great way for them to cool down. 6 | Ladies this one if for you! Use makeup setting spray on your face after your make up is done! Your Hair & Make Up Guru should do this for you! Also, after touch-ups do another spray! Doesn’t hurt right!? NYX Professional Makeup Make Up Setting Spray, Matte Finish/Long Lasting, 2.03 Ounce is what I use every day and it is a lifesaver! It saves me from looking like a hot mess when it’s like a sauna outside! Bring a 2nd set of, undies, shirts, pants, socks | well whole outfit! You will feel so great when you change into them 1/2 way OR when you are done! We would hate for anyone to faint, have to go to the hospital or be miserable on a wedding day! Hot Humid days are going to happen – and the above ways are going to help you AND your guests have a better time on your wedding day! If you have any ideas or tips that I missed comment below!